One of the major business risks is a bad business reputation which can have devastating consequences on the business profits or even the viability of the business as consumers might not want to do business with a company which has a bad image due to integrity issues and other reasons. Customer loyalty takes time to build and all it takes for it to disappear is bad word of mouth and negative business publicity. 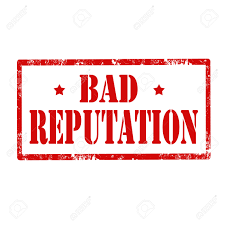 As mentioned, bad business publicity might be due to lack of business integrity or other factors such as mass unorganized and unmanaged layoff, employee mistreatment, lack of investment in communities where the company does business, fraud, lawsuits, hiring employees with criminal background, etc. However, one of the major contributors to the negative business image is the publicized theft of customer private information for curiosity or fraud purposes. Often when businesses lose their customer information or detect fraud, they offer identity monitoring services to their customers which is cost free to customers but not headache free. Businesses offer the identity monitoring services to their customers primarily for two reasons. First, because it is sometimes the law and second because it is a good business practice to minimize fraud losses and contain brand damage. However, there is also a third reason why companies offer identity monitoring services which is to dump the responsibility for their negligence on customers while they try to save their company image after damage is done. Actions taken after identity theft and fraud occur are less productive than actions taken to prevent theft and fraud. Even when consumers follow the company instructions to sign up for identity monitoring services, they still have to follow up with suspicious activities to make sure they are authorized or fraud cases to clean up the mess. Therefore, the loss of customer information by businesses and more importantly the occurrence of identity fraud can be devastating to business reputation especially if they are highly publicized. A bad business reputation due to loss of private information which consumers have shared with the company when they were asked to share can take time to reverse course and gain the customer trust again. Identity theft and fraud can be prevented with proper risk assessments, documented and communicated policies and procedures, employee training, monitoring of account activities and management oversight. We all understand the increased sophistication and impact of identity fraud cases as time goes by, however, there are many less sophisticated fraud cases which can be prevented if companies are willing to take this crime seriously and take the necessary actions to prevent identity theft and fraud. Financial losses from unjustified risk acceptance and bad business practices may be written off, however, lost customer loyalty and trust as well as bad business reputation can not be written-off or reversed overnight which can ruin a company. In conclusion, it is very important for businesses to implement an effective identity theft and fraud prevention program to comply with the identity theft regulations and reduce their risk of bad business reputation. If businesses successfully implement practices which prevent identity theft and stop fraud, they can save their business reputation and money spent for fraud write-off, recovery and identity monitoring. And more importantly they can keep their customers and maintain competitive advantage within their respective industries. To prevent bad business reputation due to identity theft and fraud, visit Identity Management Institute for solutions.